150 journalists and media representatives are undergoing cultural drills at Nkumba solidarity camp where they will learn how to foster their profession and upholding the Do’s and Don’ts of the Rwandan culture. This one week exercise, the second of its kind, will also allow journalists to interact with government authorities on how best to play role in national development and building stronger media fraternity. It is also, according to some of journalists attending, a platform for exchanging ideas and knowledge about their profession, learning about their culture and deeper understanding of the country’s history. “I want to interact with others, get to know the vision of Rwandan journalism and the facts about the country,” says Oswald Mutuyeyezu one of the journalists. He believes this exercise will give journalists an opportunity to share pertinent ideas, and more importantly; to interact with various government officials about the future of the country. Cleophas Barore, the Chairman of the Rwanda Media Commission, says gathering journalists to spend days together is of paramount relevance. He says apart from learning, they get to know each other and build a stronger bond. The first phase of Itorero, Barore says, linked many journalists together, who now converge on different platforms to exchange ideas, information and journalistic best practices. Meanwhile critics suggest that government uses this exercise to brainwash journalist and turn them into stooges and puppets. “I am attending this event to cross check whether what they have been saying is true or not,” said Jean Elysee Byiringiro, the Chief Editor of a vernacular tabloid. “We were told that when someone attends Itorero, they are manipulated and brainwashed. I doubt, whether people can be changed in only eight days,” he says. Traditional Itorero was a cultural school where Rwandans would learn language, patriotism, social relations, sports, dancing, songs and defense. This system was created so that young people could grow with an understanding of their culture. Participants were encouraged to discuss and explore Rwandan cultural values. The tradition of Itorero also provided formative training for future leaders. As part of efforts to reconstruct Rwanda and nurture a shared national identity, the Government of Rwanda drew on aspects of Rwandan culture and traditional practices to enrich and adapt its development programs to the country’s needs and context. The result is a set of Home Grown Solutions – culturally owned practices translated into sustainable development programs. One of these Home Grown Solutions is the Civic Education Program, also known as Itorero. Itorero was reintroduced in 2009 as a way to rebuild the nation’s social fabric and mobilise Rwandans to uphold important cultural values. The culture of an intore (a person who has received the teachings of Itorero) is regarded highly. 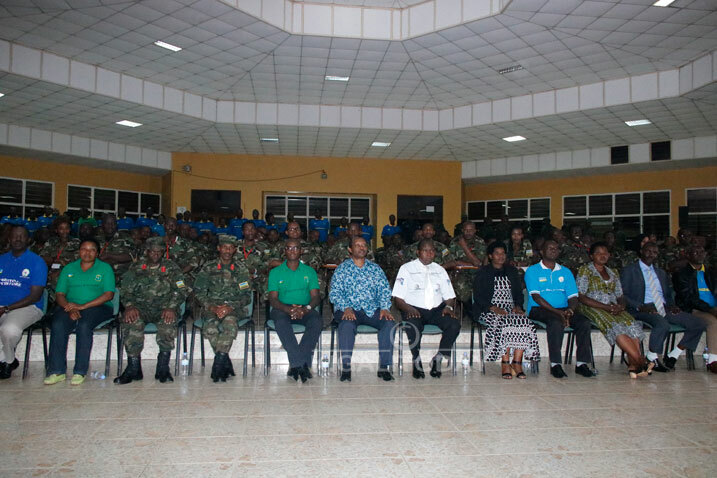 Itorero creates opportunities for participants to enhance positive values, build a sense of responsibility through patriotism and gain professional knowledge. The National Itorero Commission is responsible for overseeing the implementation of the program and of ensuring that Rwandans from all walks of life have the opportunity to take part.